If you need to choose a Christmas gift for a woman over age 70 who has everything she needs for her home and who doesn't want another sweater, look to her everyday life and changing needs for ideas. Material things may not be in the "Top 10" best choices for her, if they factor at all. Instead, bring new experiences into her life or give her the gift of your assistance and companionship. You can also combine specialty items she may not normally treat herself to with your company in selecting just the right item for her taste or needs. Even if you're on a small budget, you can give her a meaningful gift that costs little or nothing when you think beyond the typical material options. 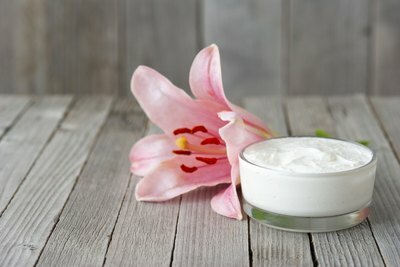 For women over 70, TodayIWish.com suggests a gift of moisturizer, since aging skin is no longer as naturally supple as it once was. Accompany the gift recipient to a fine cosmetics counter to find just the right formulation. While you're there, throw in some perfume and makeup, too. Follow this with a trip to the beauty salon for a new haircut, an occasion that lifts most women's spirits. A woman of 70 usually isn't as strong or agile as she used to be. If your gift recipient owns a home, she might need help with yard work, snow shoveling and general maintenance. If she rents, she'll probably appreciate some assistance with major cleaning projects, de-cluttering closets or donating unused clothing to charities. If she no longer drives, offer your services when she needs a ride to a medical appointment, the grocery store or just wants to go window shopping. Aging often brings isolation, so gifts of time spent together doing crafts or attending a play, movie or concert will be worth far more than you pay for supplies or tickets. An older woman might hesitate to learn a new hobby or skill on her own, however, enroll her in a class at a local arts center or community college and she'll have an incentive to give it a try. If she's on a limited budget, include any materials she'll need to complete the class. 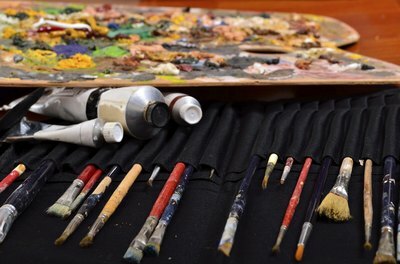 Arts centers typically offer subjects such as photography, pottery-making, drawing, painting and flower arranging. Community colleges sometimes offer similar subjects, in addition to skill-based training courses, such as sewing, knitting and computer basics. Community colleges feature a wide range of academic subjects, as well. Think outside her usual comfort zone but within her interests to select a course that will engage her and give her new experiences, such as creative writing or memoir writing, astronomy, drama or a foreign language.